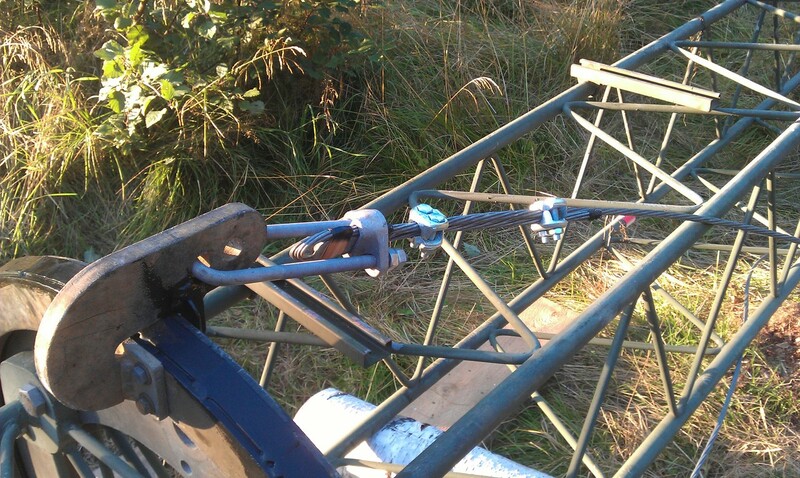 This weekend I had plans to do a lot of antenna work, but I didn’t get as much as I had intended done. 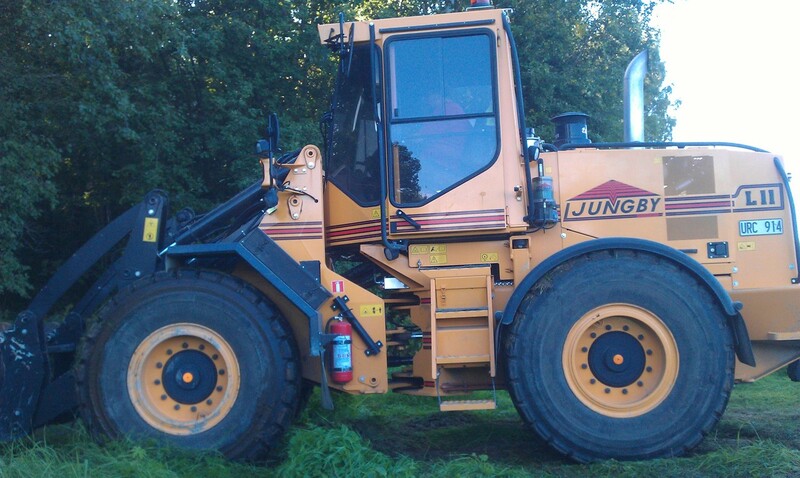 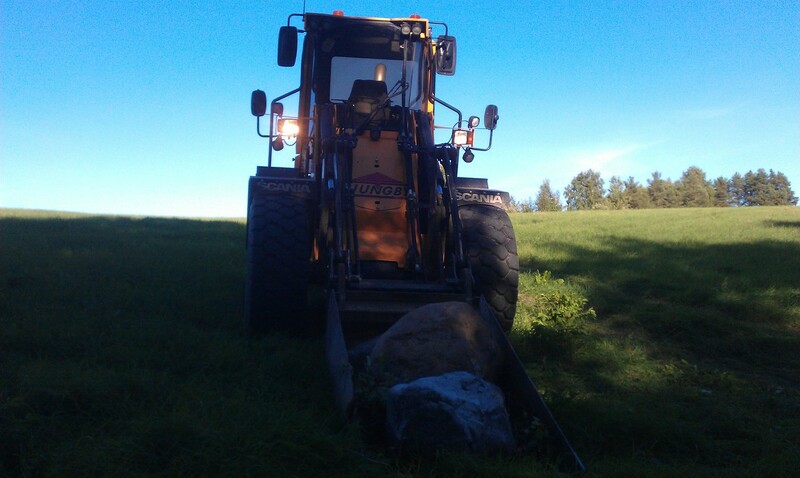 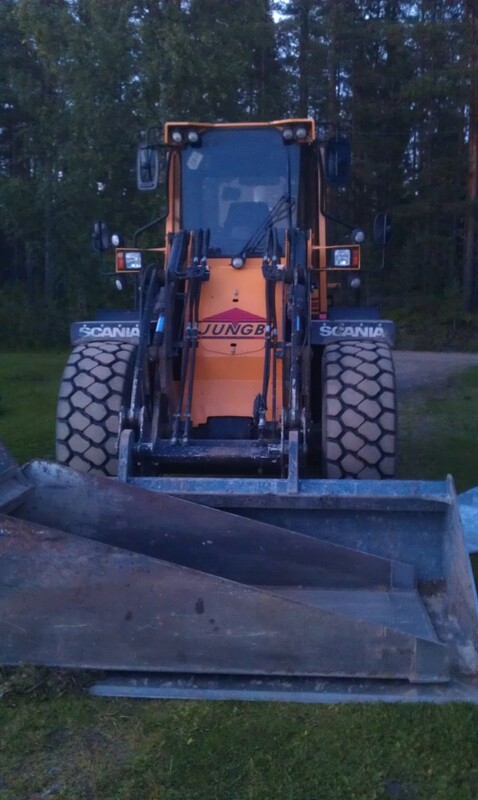 We needed to get some dirt to fill holes in the yard (after digging cables etc) so we borrowed the wheel loader from GTL and since my neighbour needed help removing some big rocks that his tractor could not handle, we helped him as well. 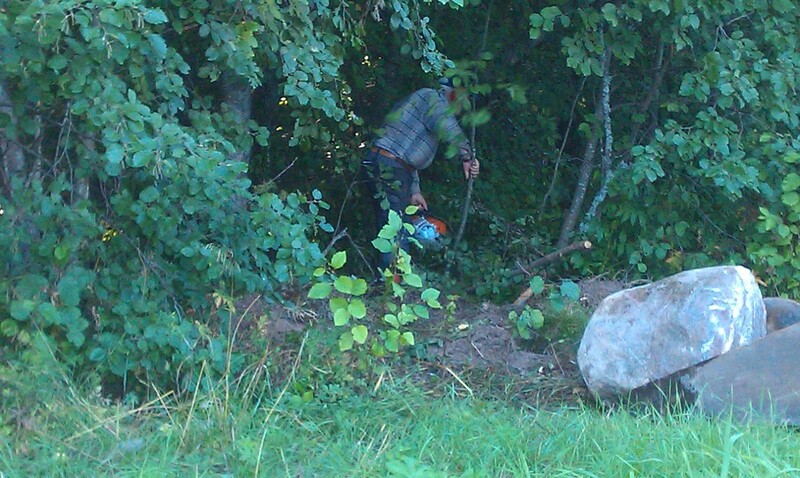 I have felt he has been helping us far more than we have been helping him, so it’s been good to pay some favours back. 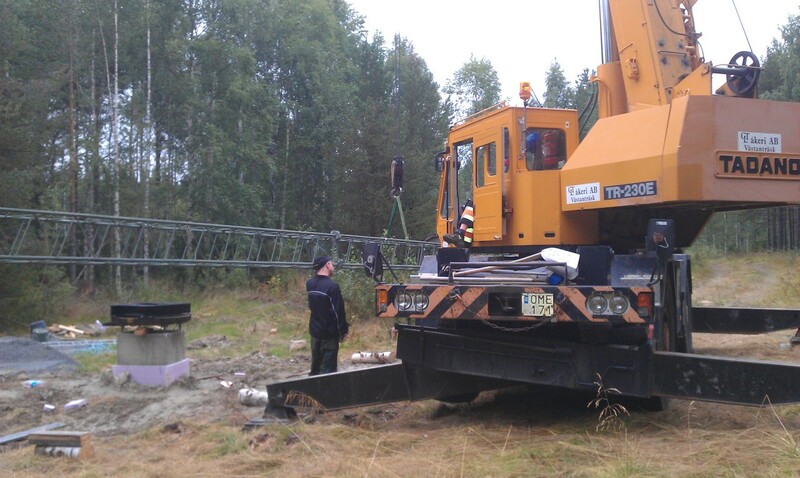 GTL are as usual extremely helpful and borrowing equipment does not seem to be a problem as long as SM2XJP is the driver. 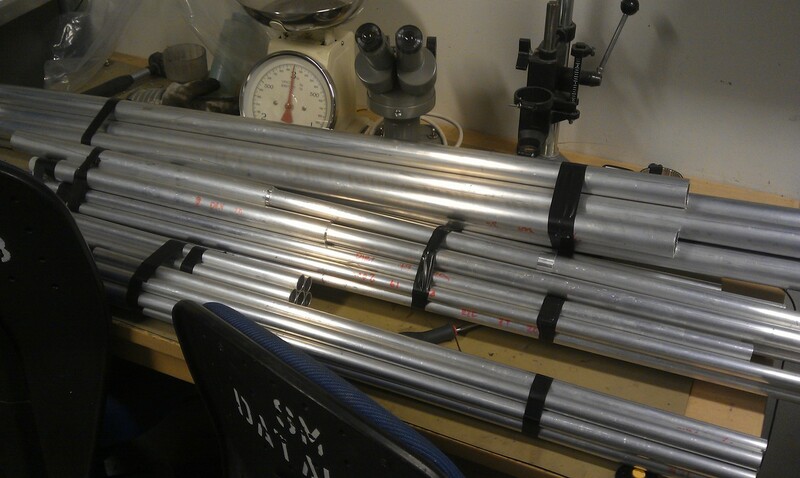 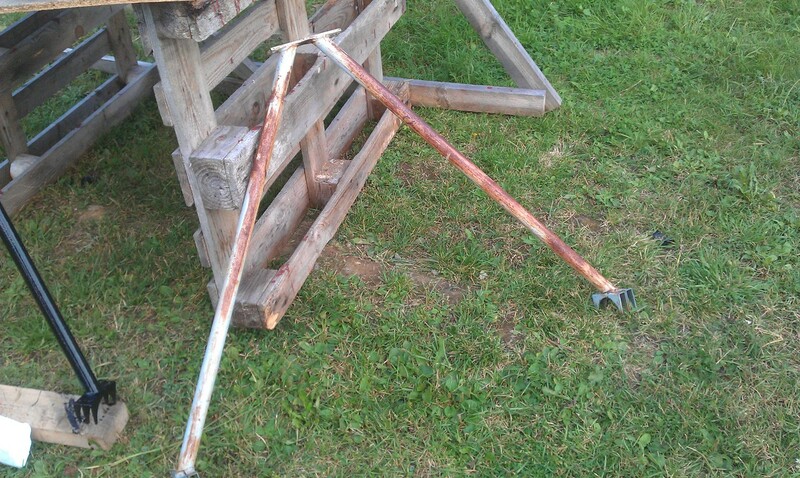 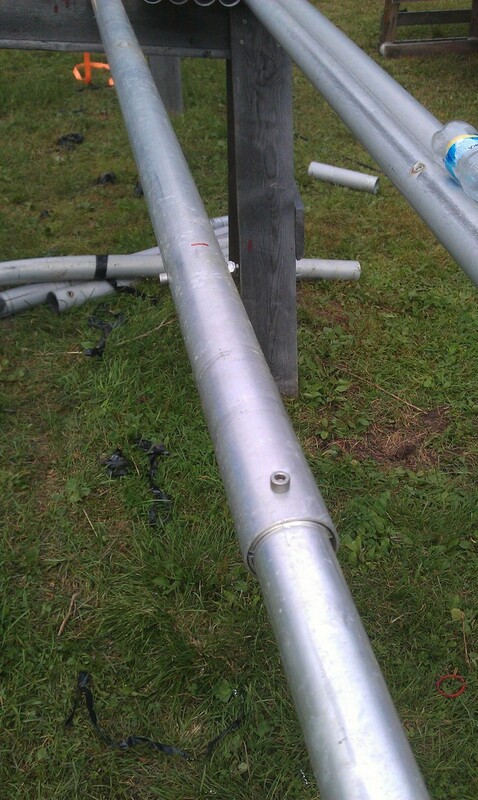 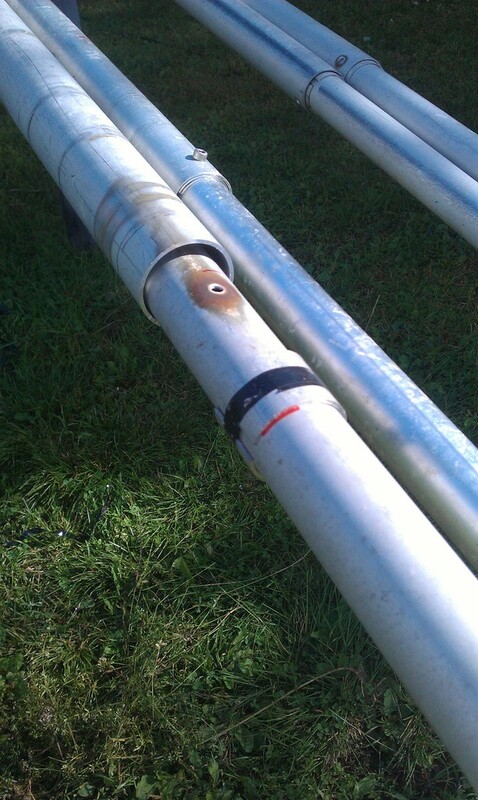 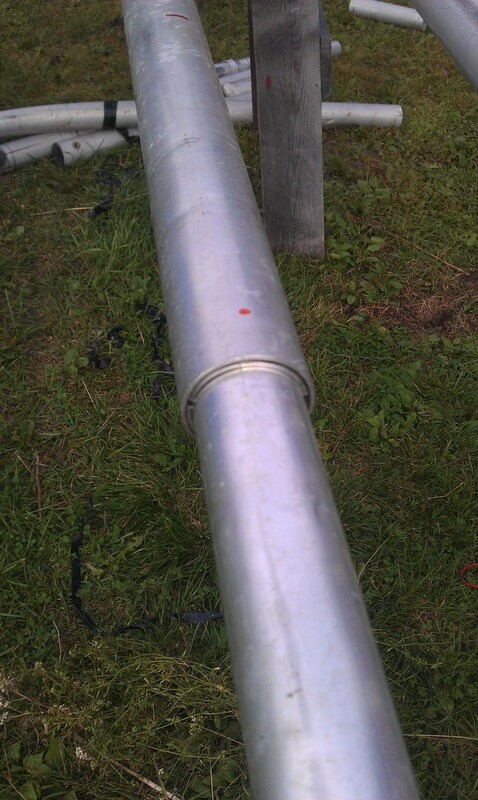 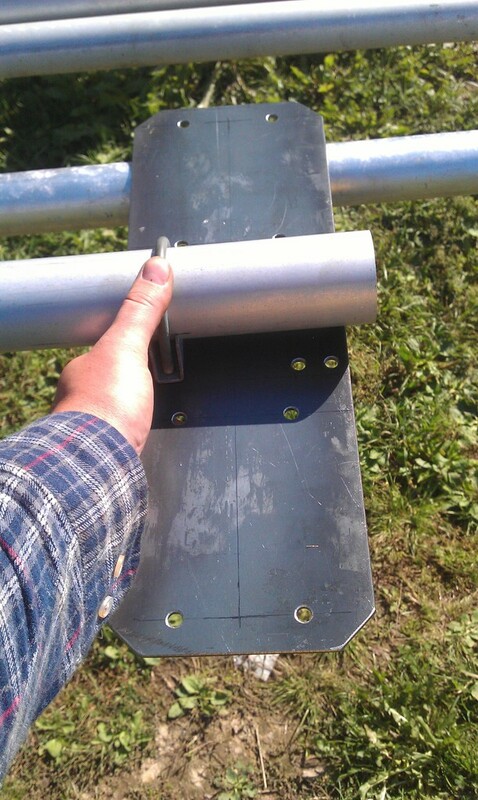 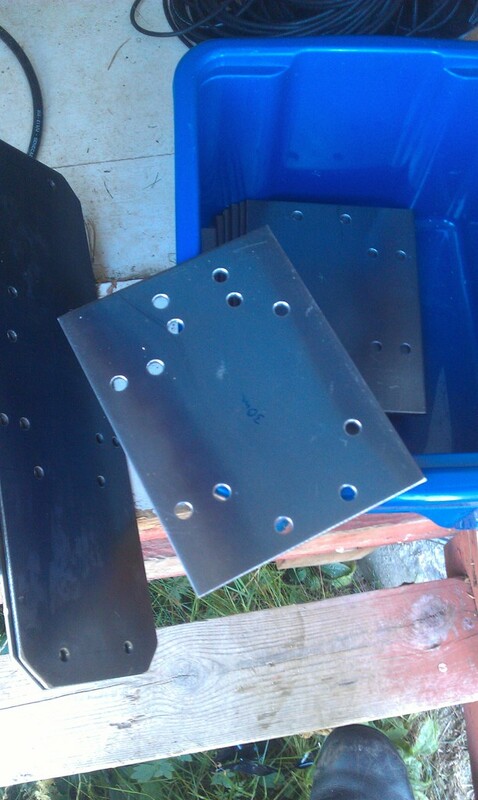 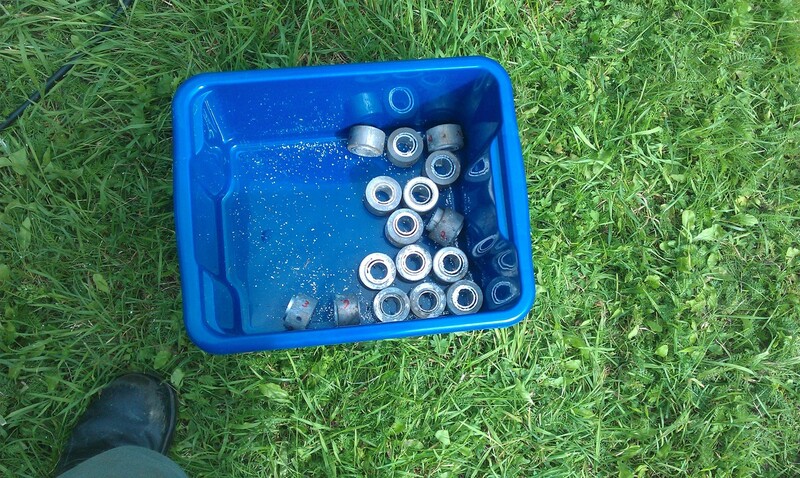 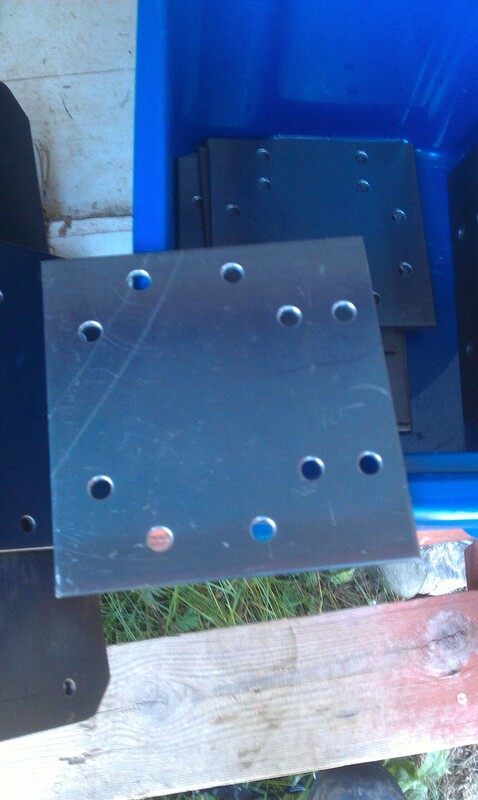 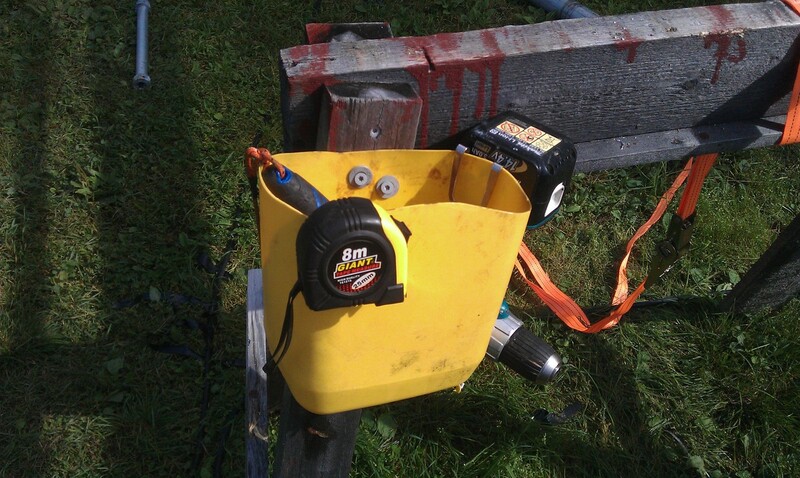 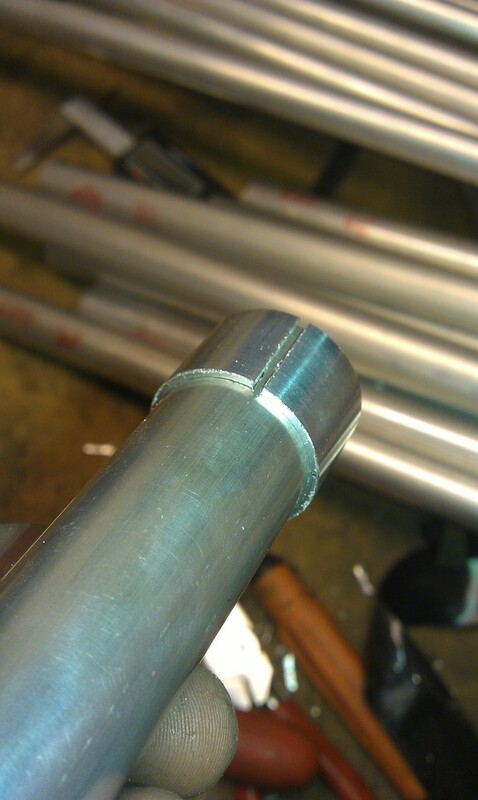 However, I did get bolts into the booms so they are ready now. 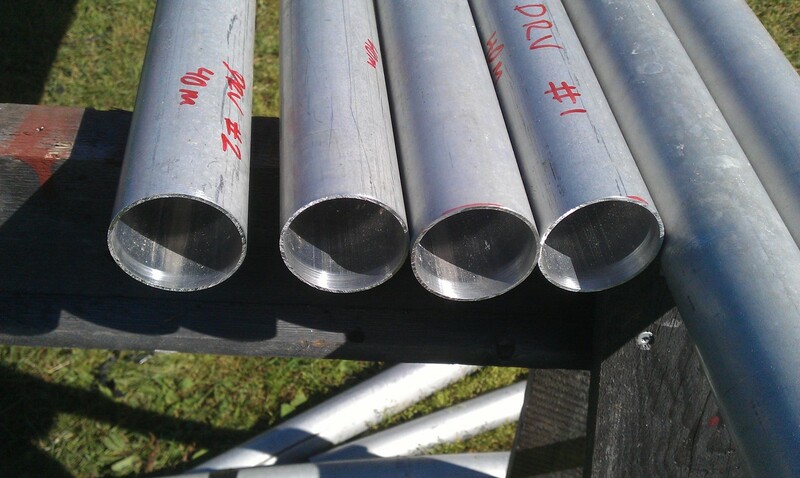 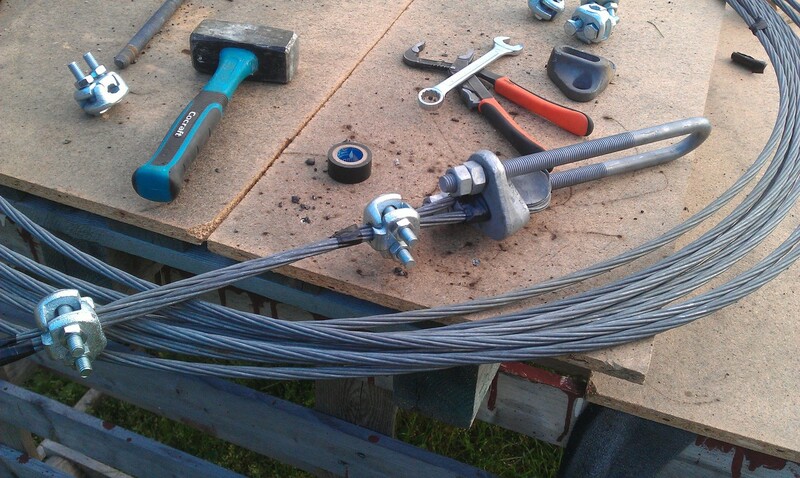 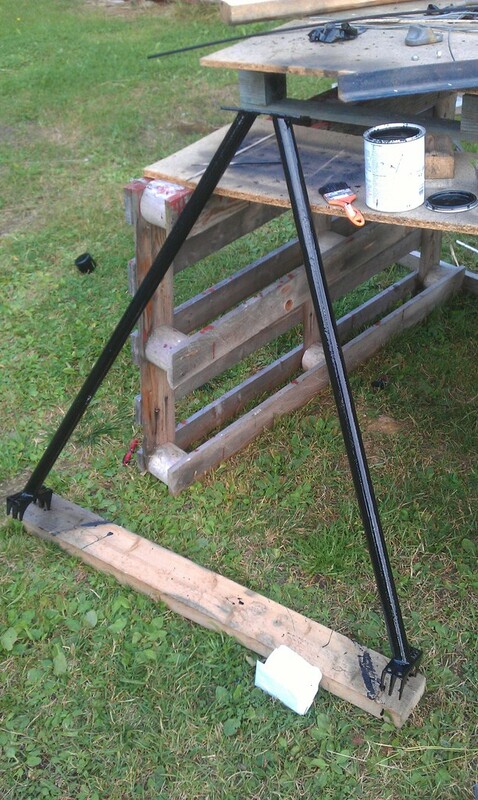 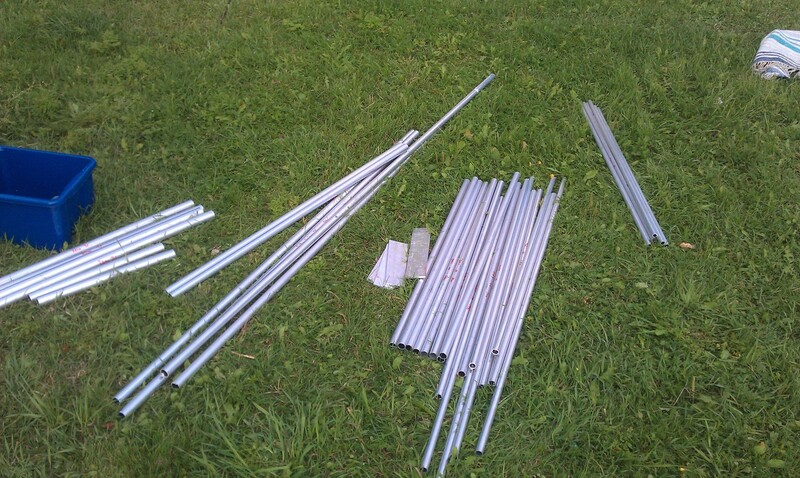 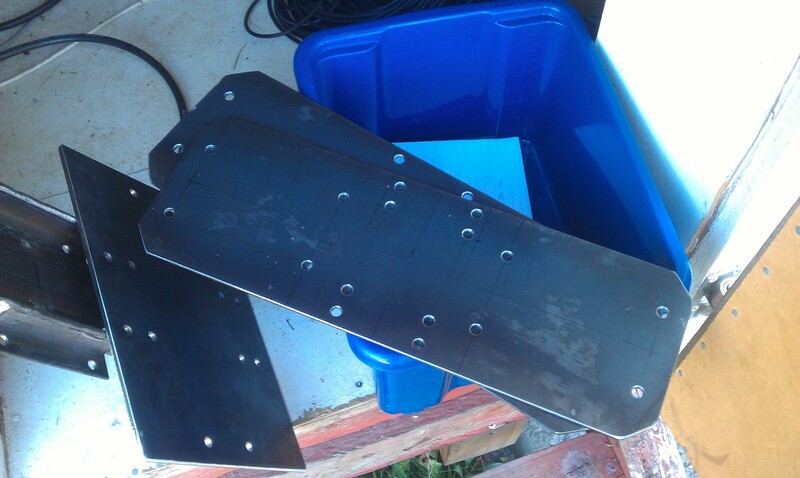 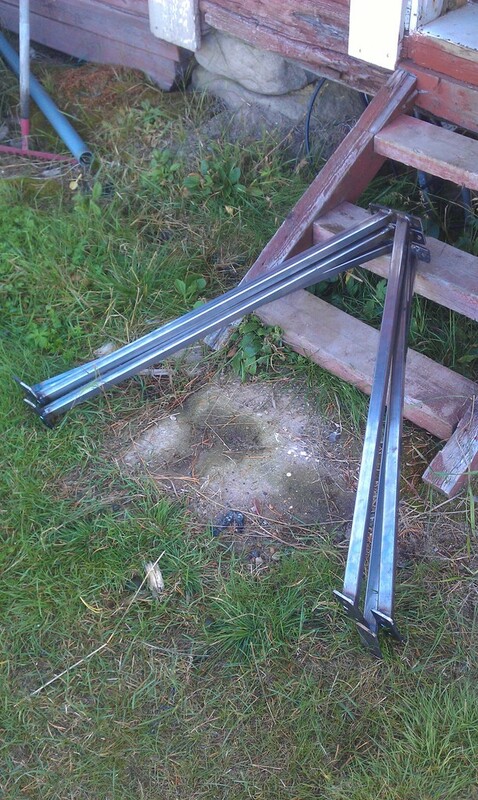 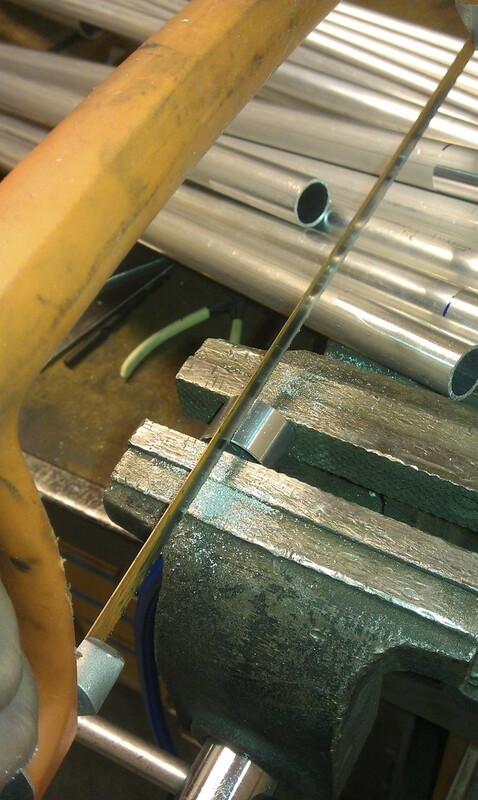 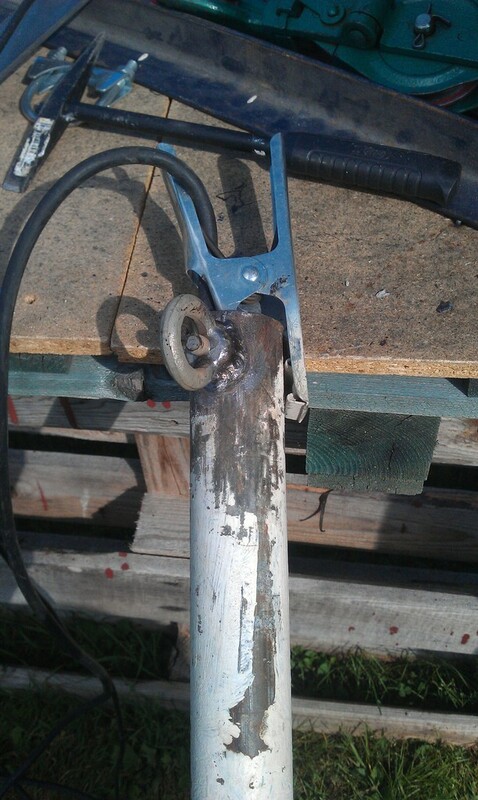 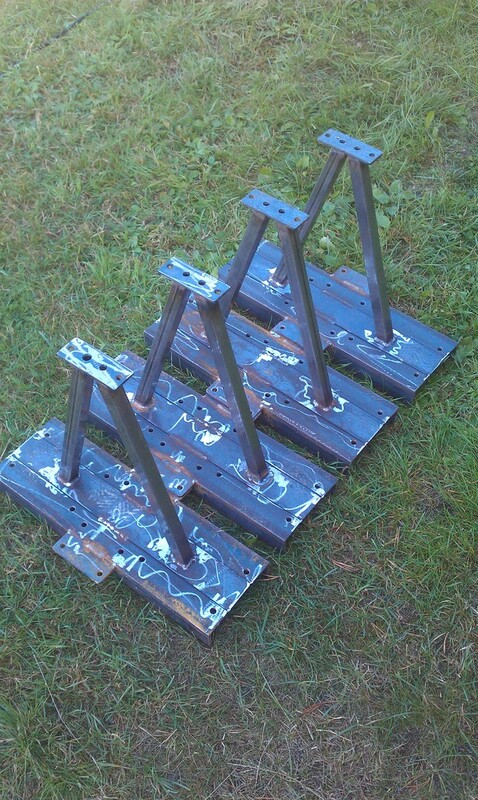 I build the element plates for the 30m yagi, I built a boom strut for the 30m yagi so now all parts that will go to get galvanized are finished. 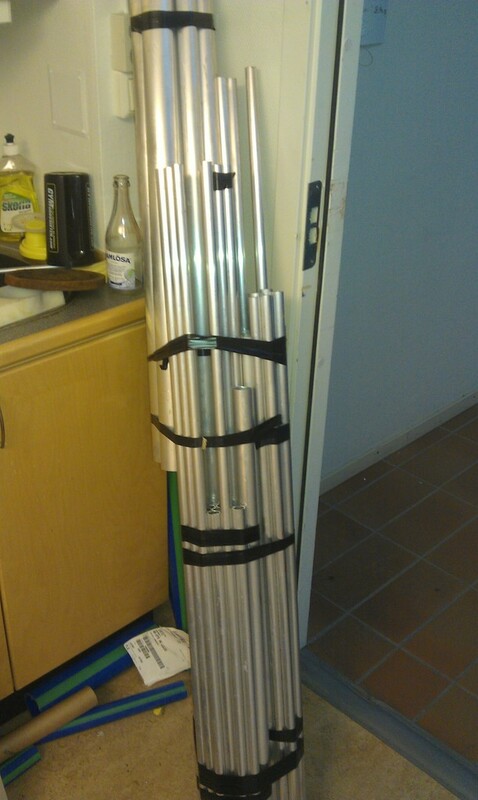 Peter will take them into Skellefteå on Monday and we will get them back on Friday, so I will have them before the weekend which is great. 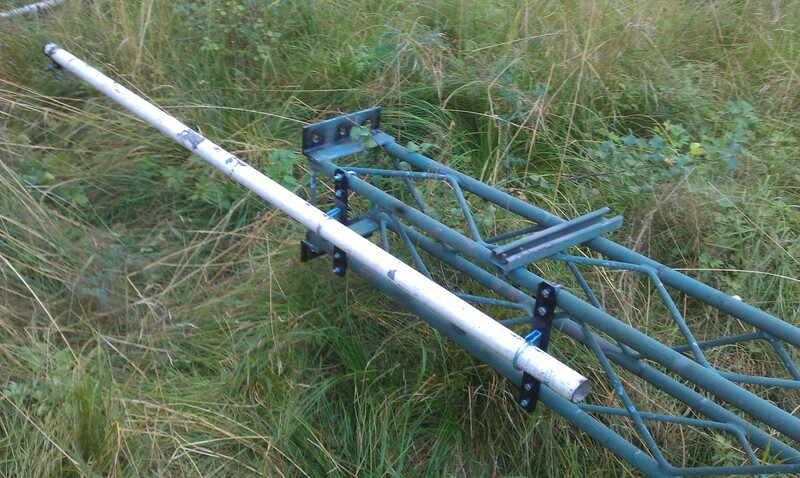 Hopefully this week I will get some plastic line to be used for the boom support (6mm solid plastic wire) and we can start to assemble the antennas in the weekend. 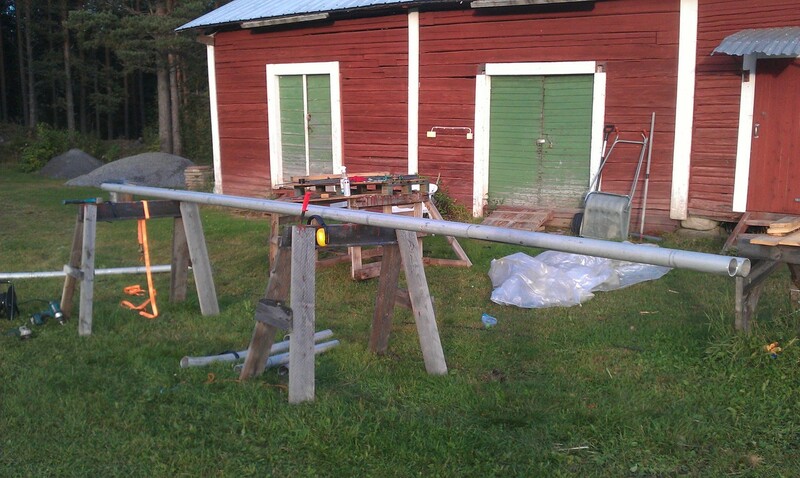 However still lots of work to be done before we are ready for the contest season. 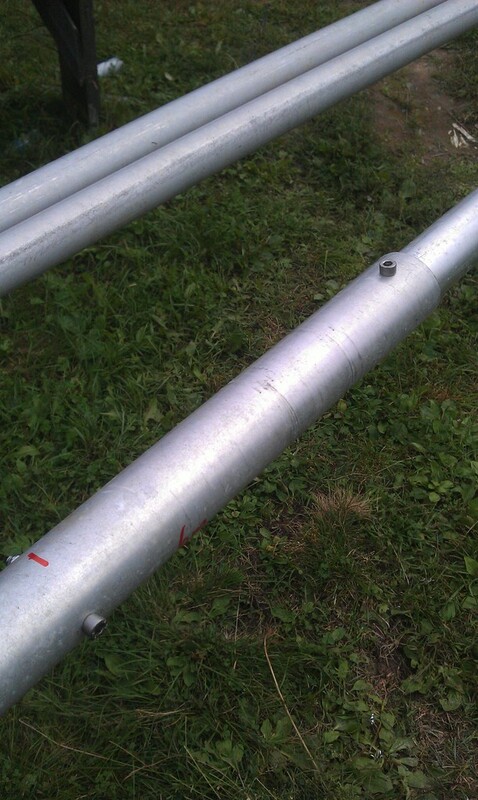 SA0AZT also sent up a package with HI-Z 4-SQ type of RX array that he gave us, and we will put out in a field as a complement to the beverages. 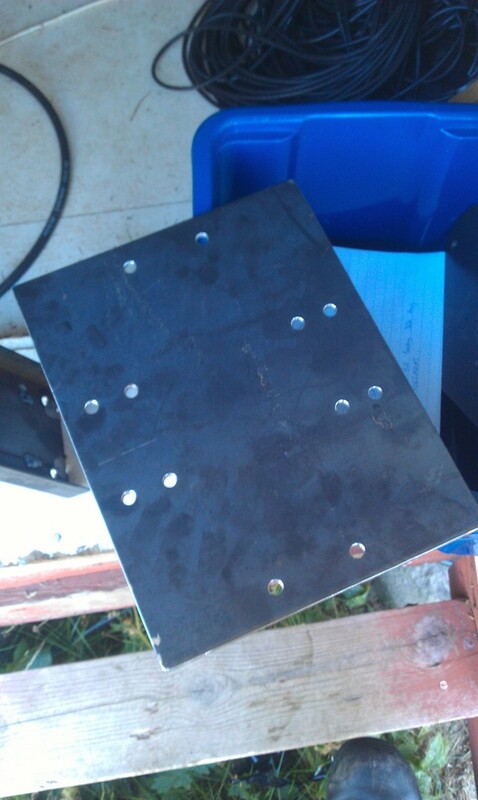 Hopefully the HI-Z array is more reliable and might be possible to use inband as well, we will see! 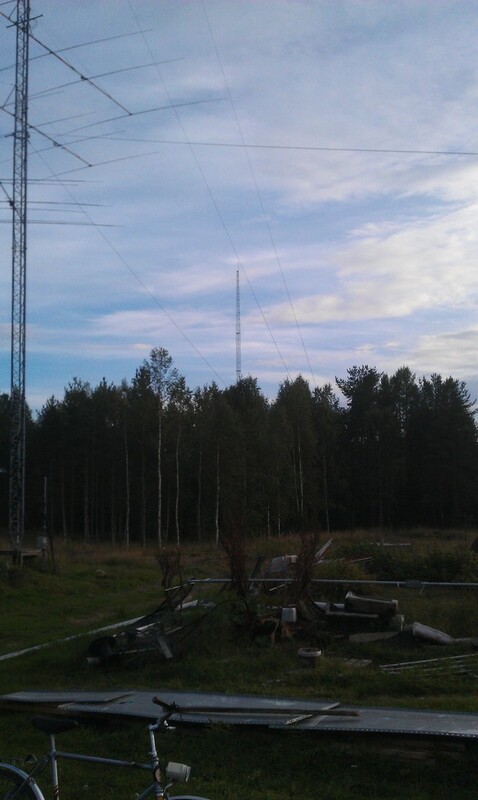 This project is however not a high priority but I hope to have it up before CQWW SSB! 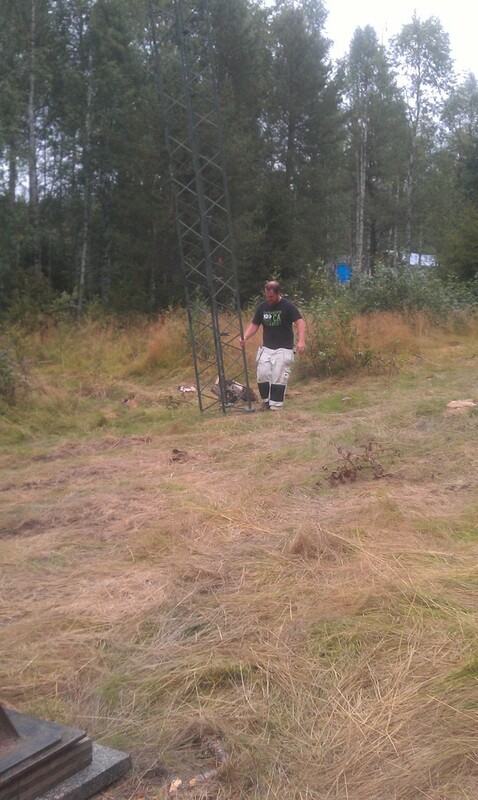 Thank you very much Mattias! 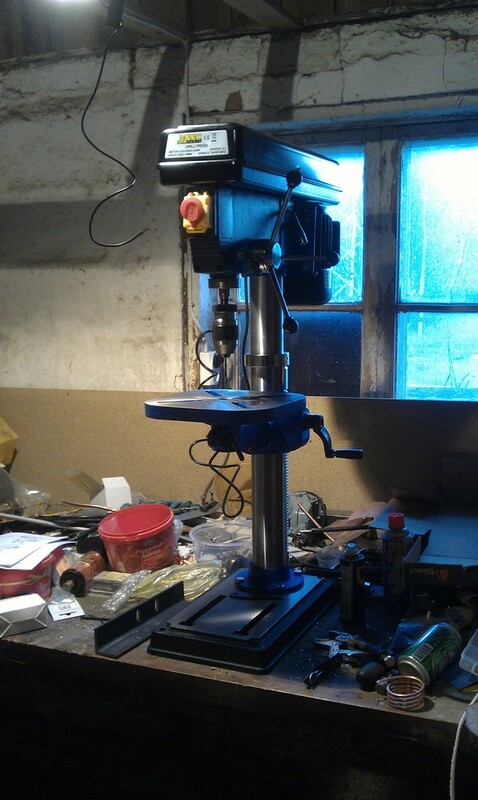 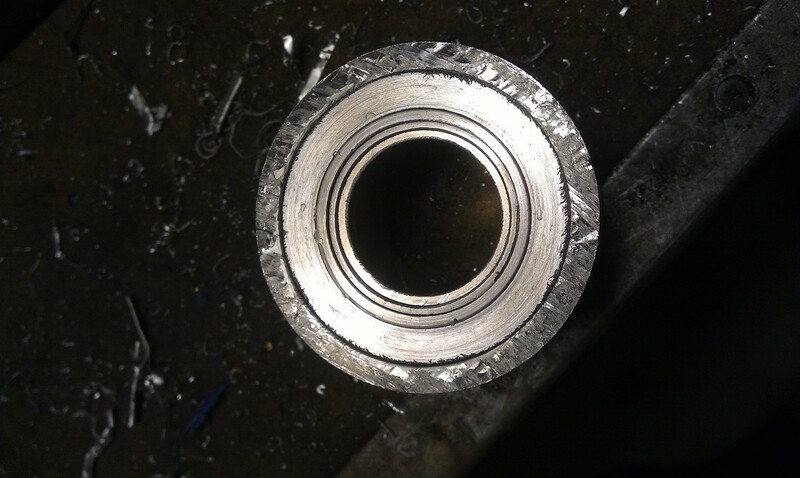 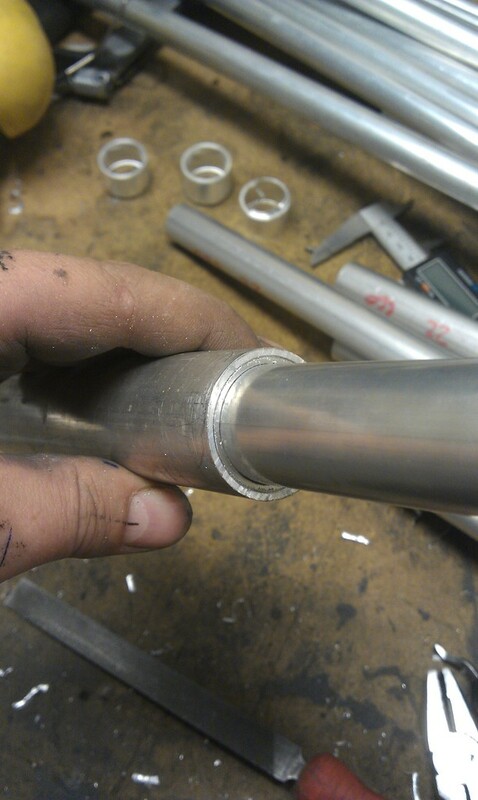 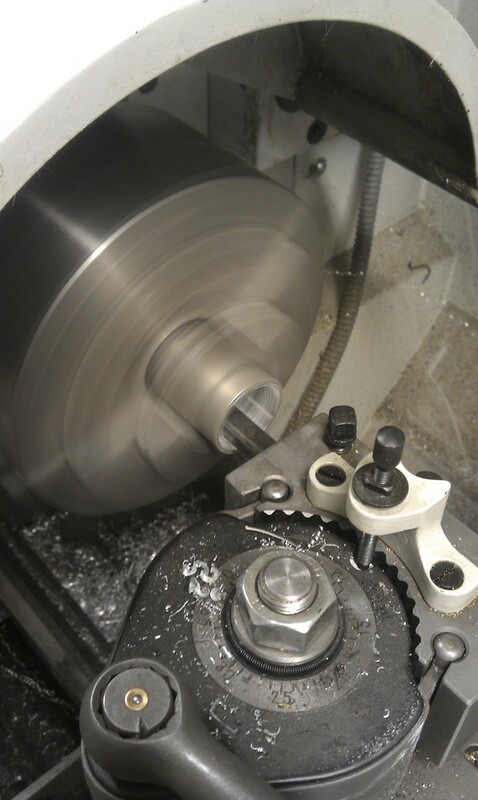 Today I didn’t have that much to do at work so I did sneak into the workshop and did some work there. 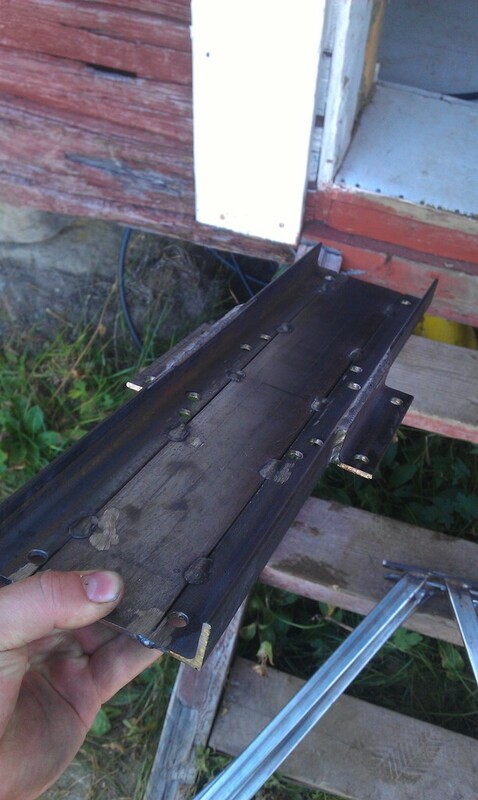 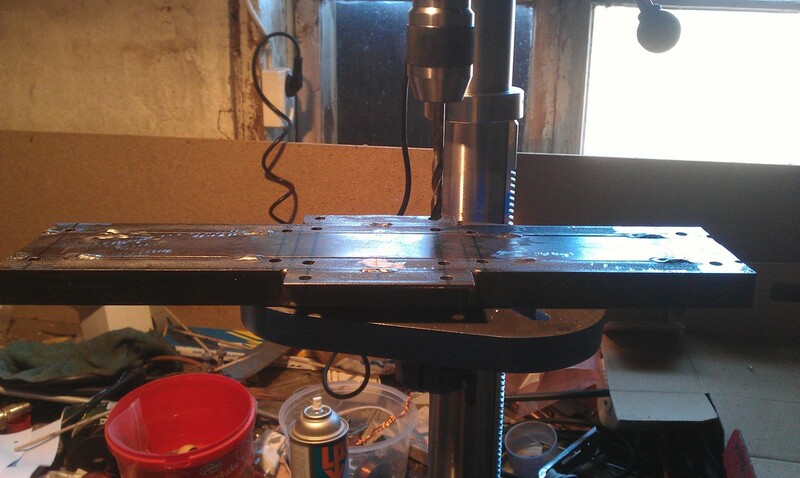 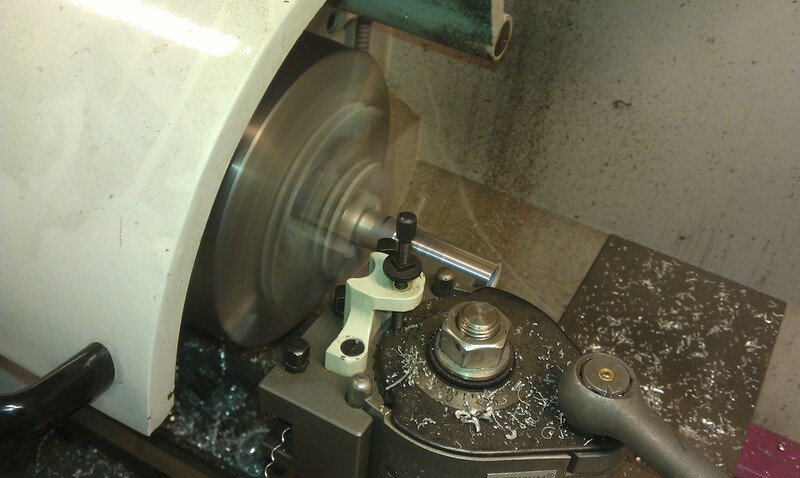 I’ve spent most of the time in the lathe and gotten most of the stuff done for the yagis that I can do up here. 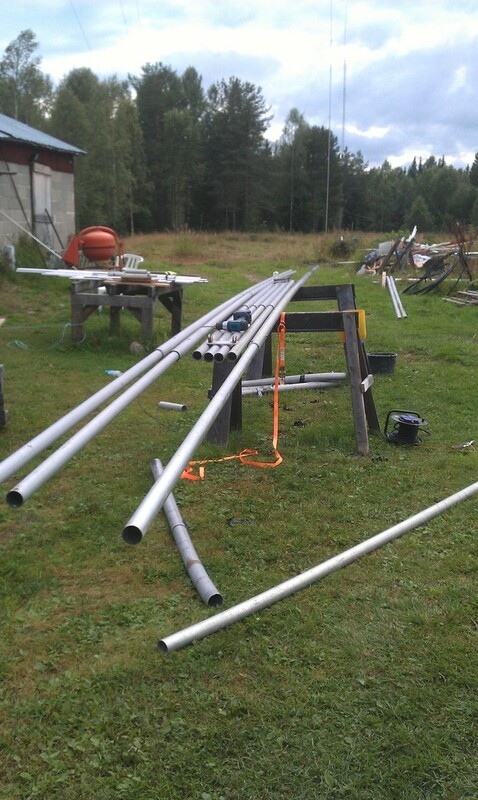 Left to do is the center parts for the 40m elements, all the plates to attach the yagis to the tower and also the element/boom plates for the 30m yagi plus a boom strut. 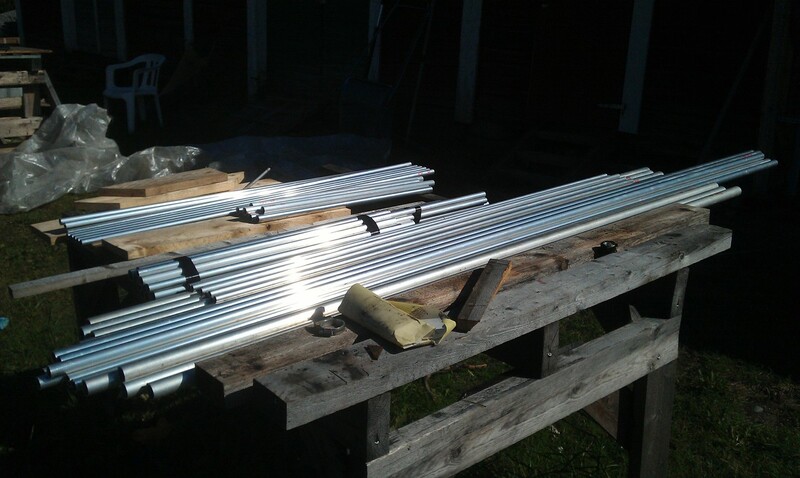 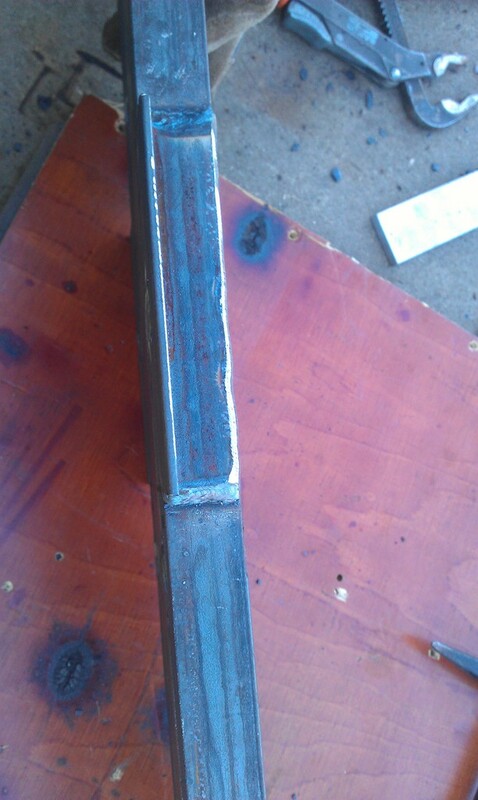 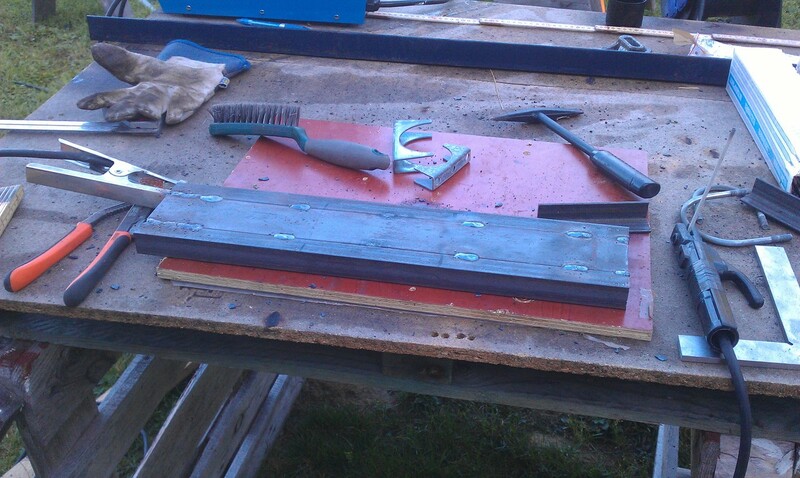 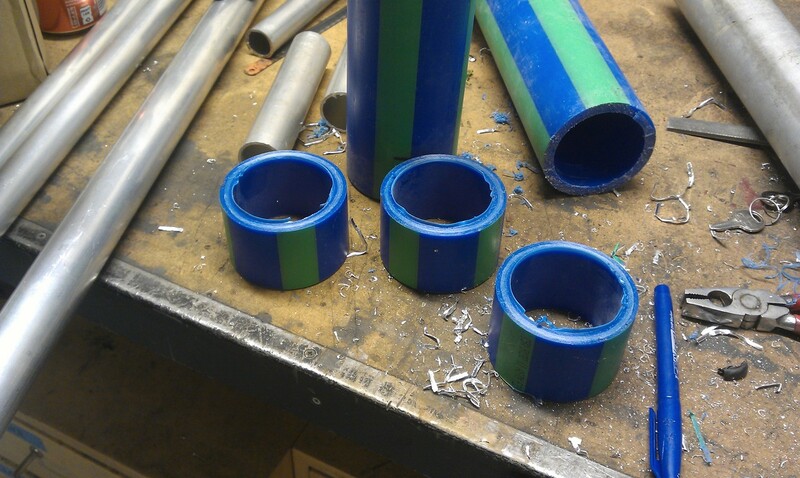 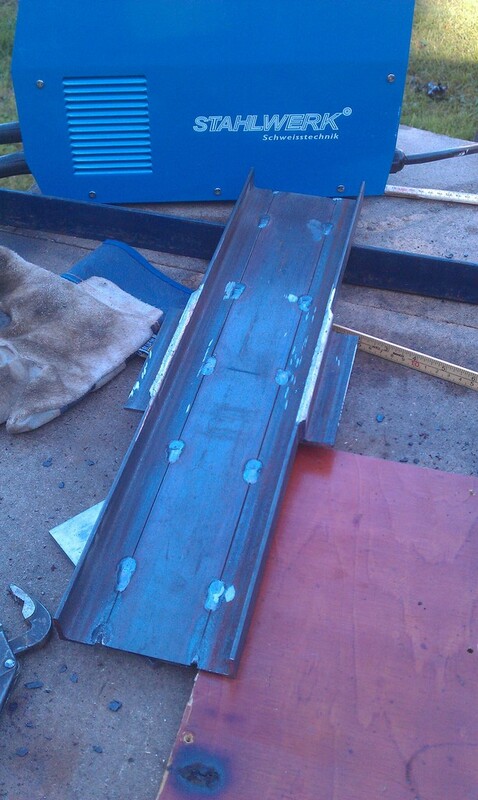 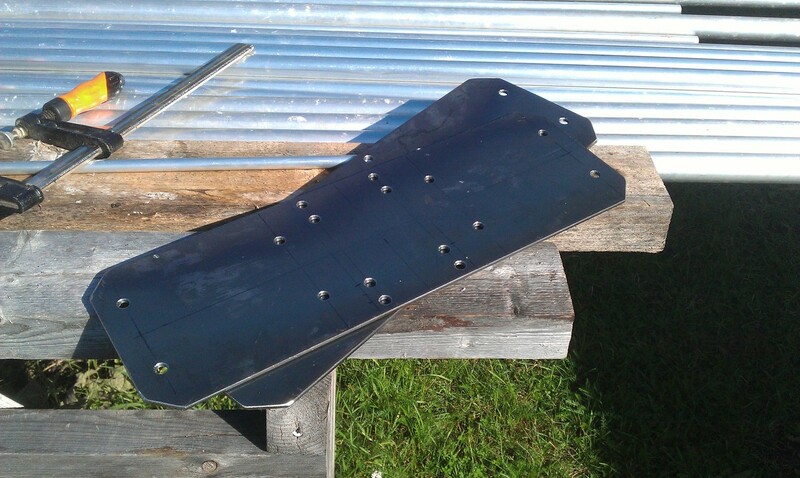 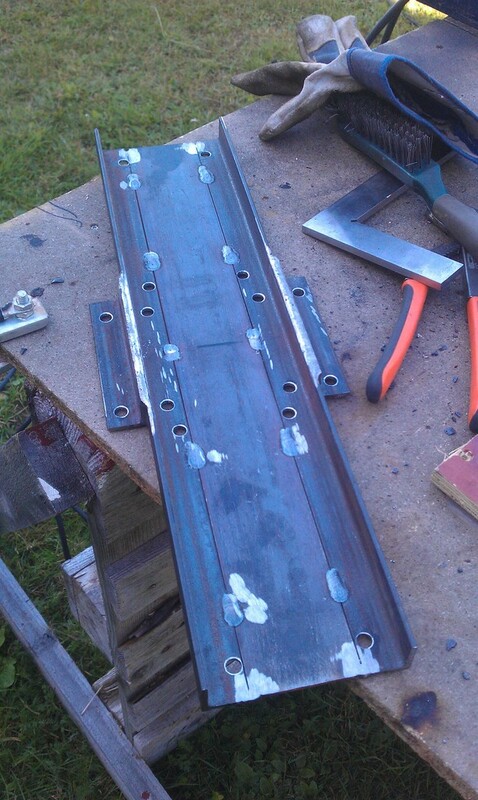 I need to get this done quickly so I can get it all galvanized so I can have it assembled in a few weeks. 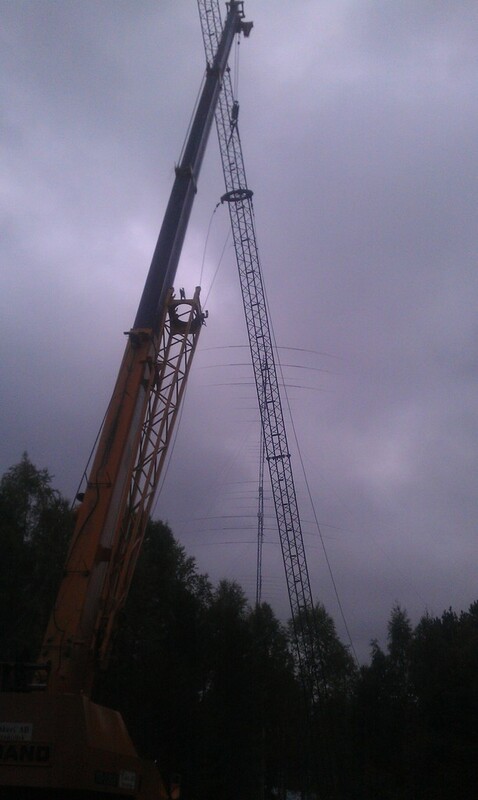 Goal is to have it all operating before CQWW SSB which I believe should not be a problem *knock on wood*. 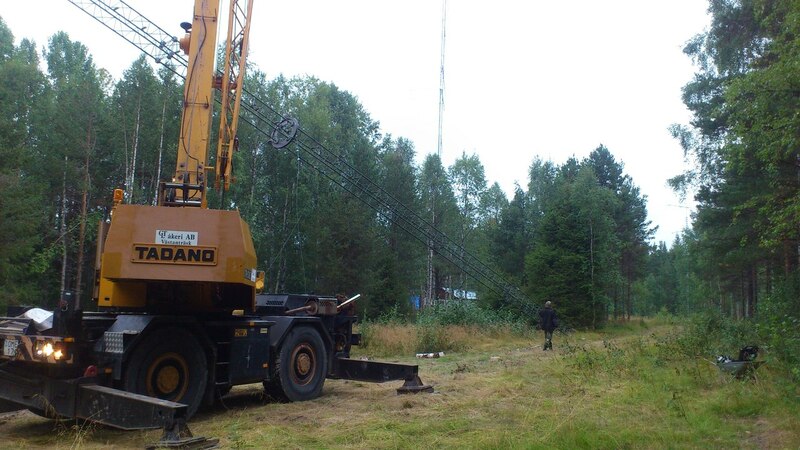 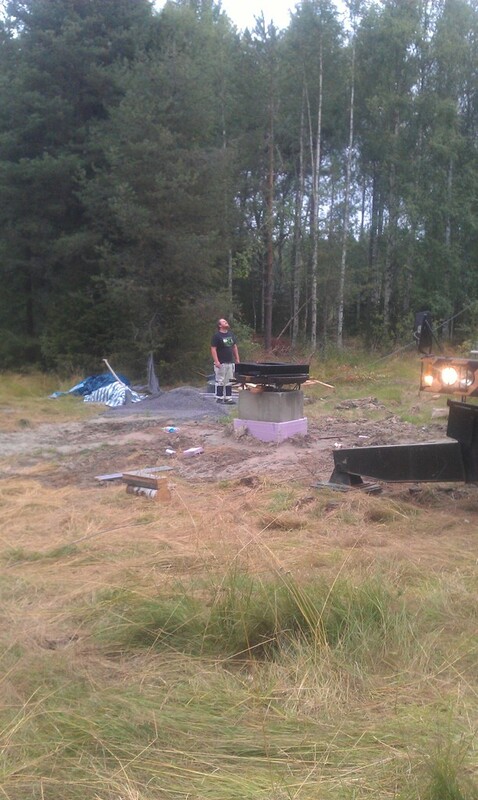 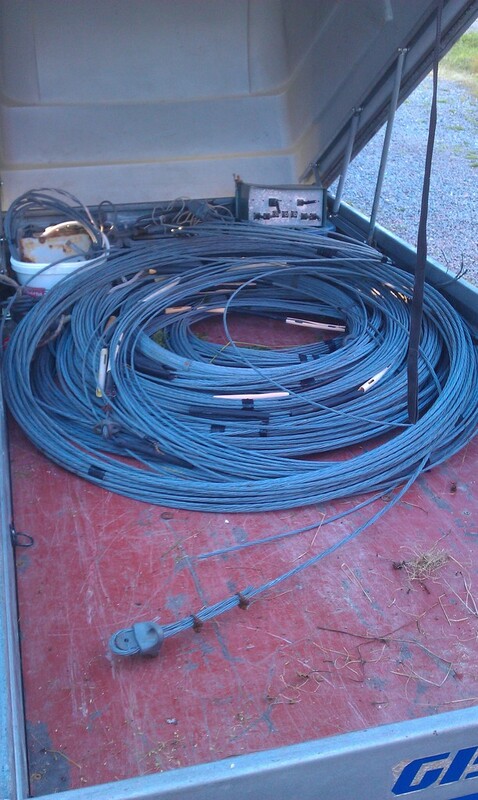 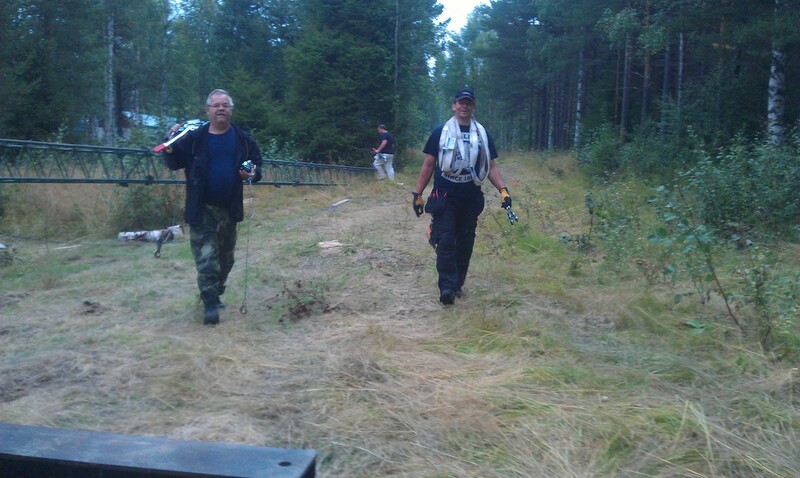 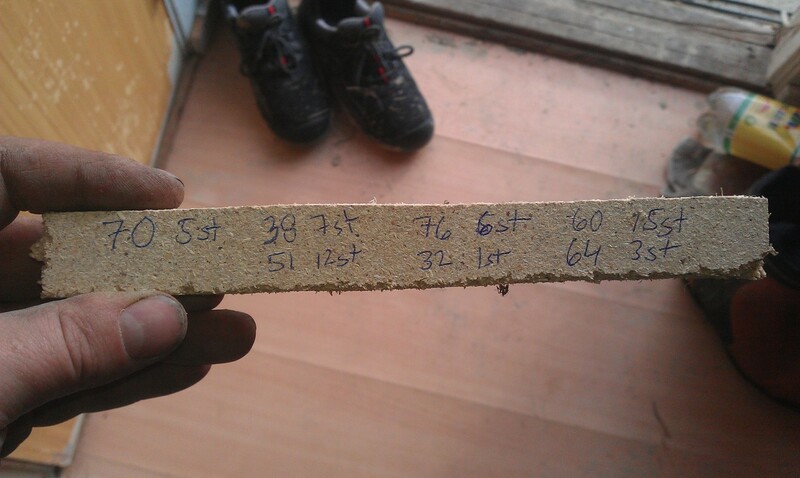 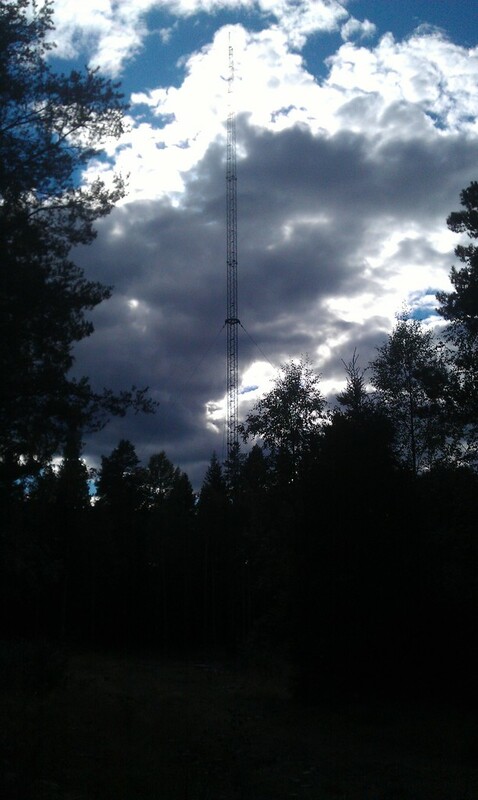 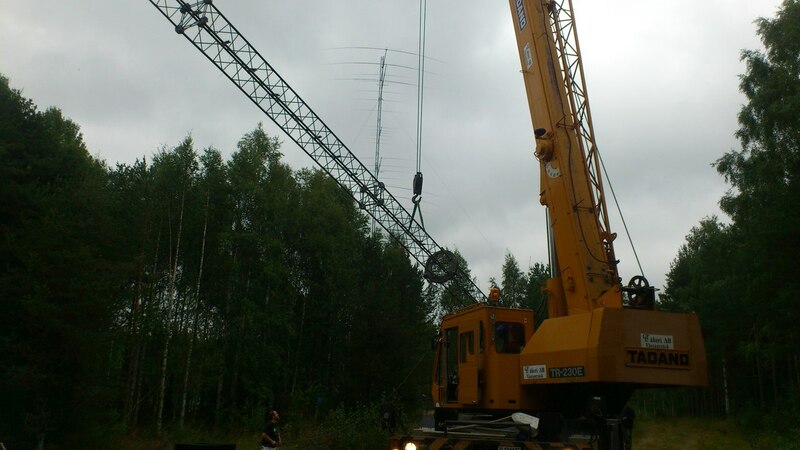 I arrived to SJ2W on Thursday evening when SM2XJP picked me up in Skellefteå since I had a very heavy bag with me, with tools etc I used in Moskojärvi when we picked up the last things from the 60m tower takedown last year. 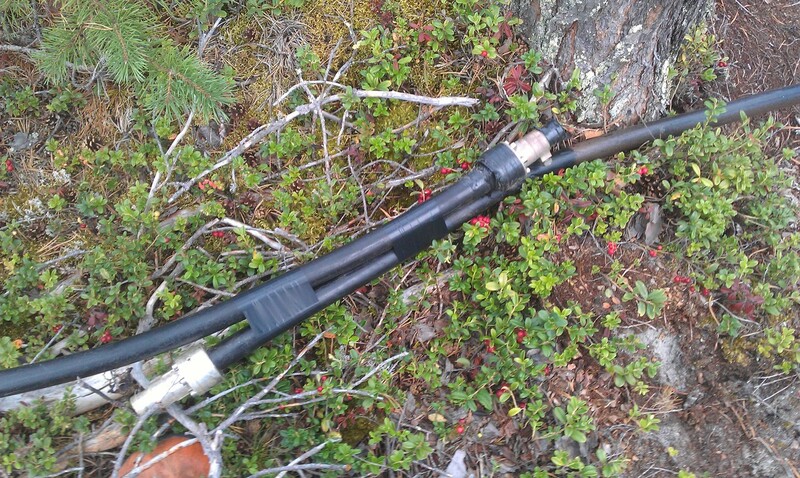 SM2LIY also came to SJ2W and me, SM2LIY and SM2XJP did pull out more coax to the inband location, so now we have one more roll of 7/8″ to get out before it’s there. 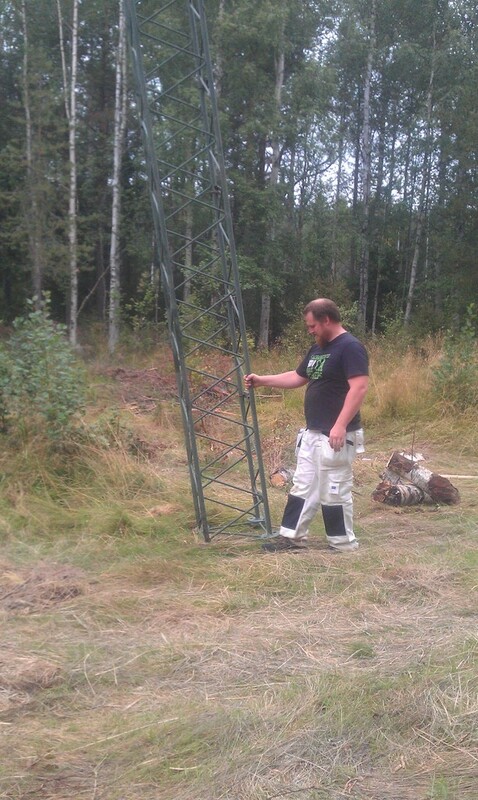 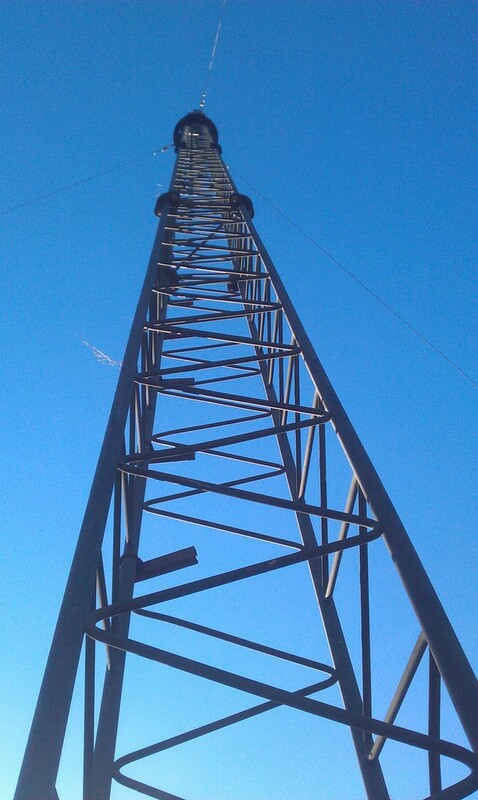 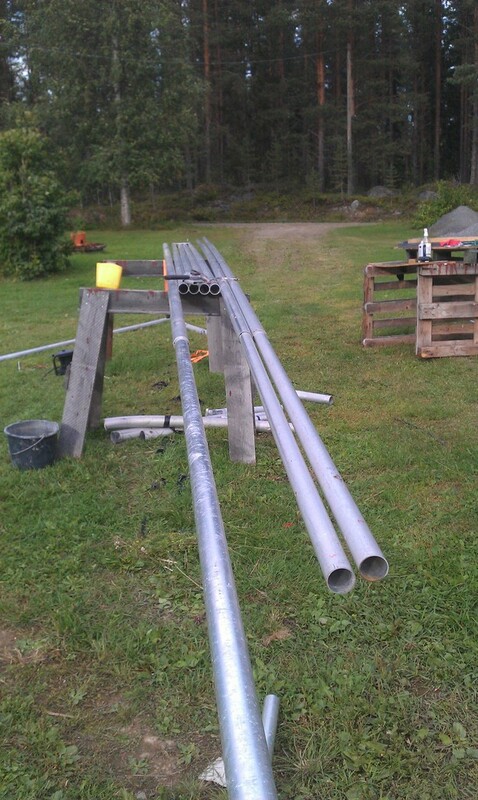 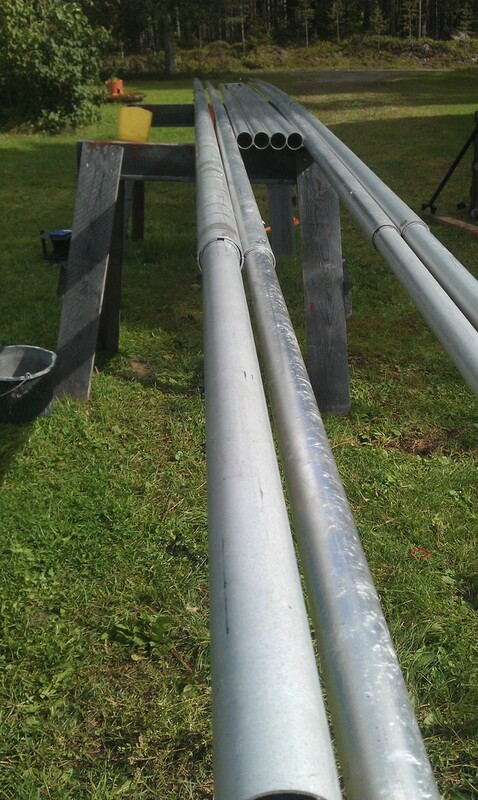 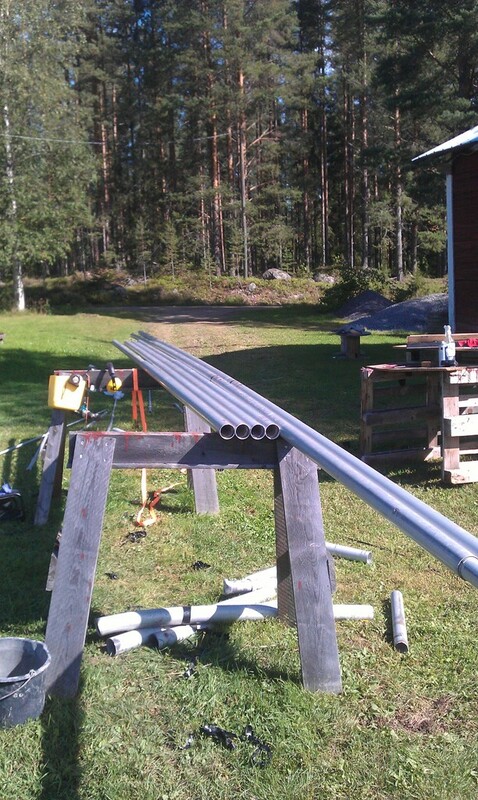 I also did the final preperations for the military tower, attaching the top tube so that I can lift the 40m yagi in the top of the tower and the guy wires were attached. 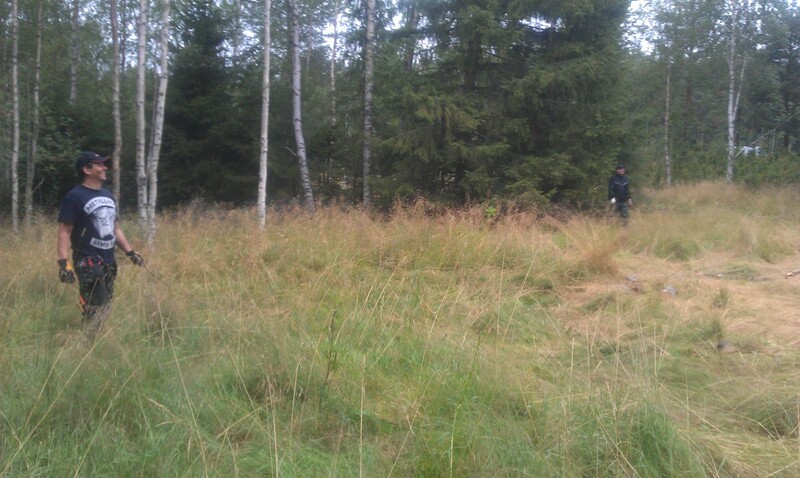 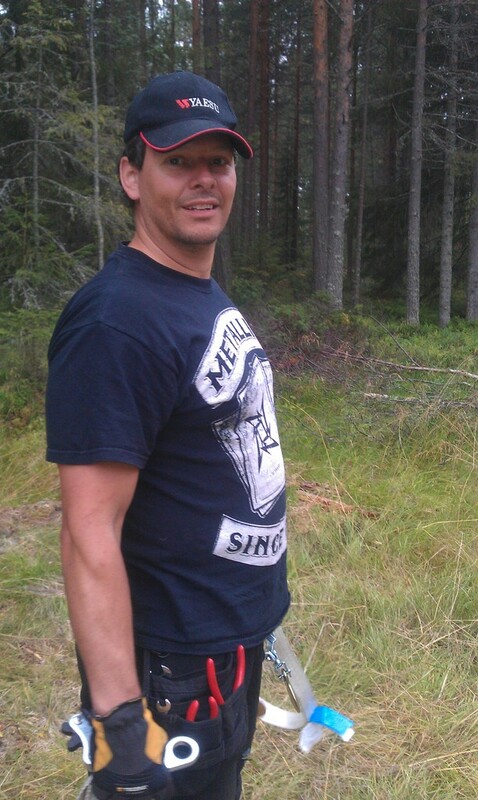 When we were out in the forest SM0W called me and said the coffee was done. 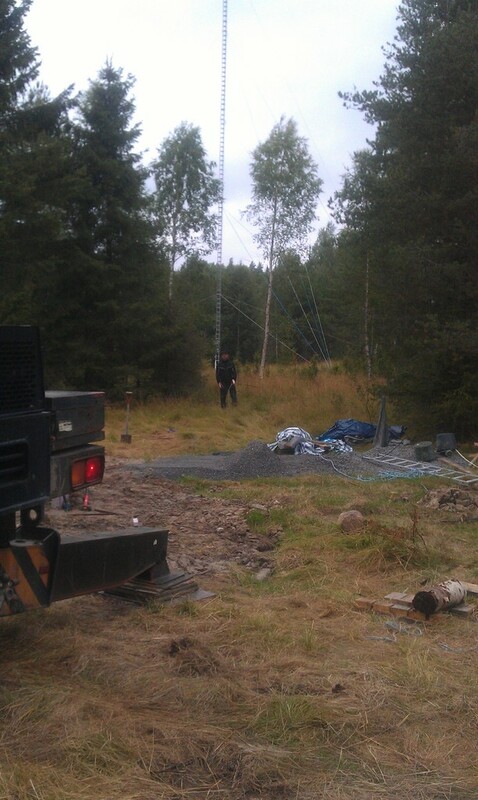 He had arrived with a colleauge since they were doing a “tour” up in north SM fixing commercial radio stations and had arrived and prepared the coffee for us. 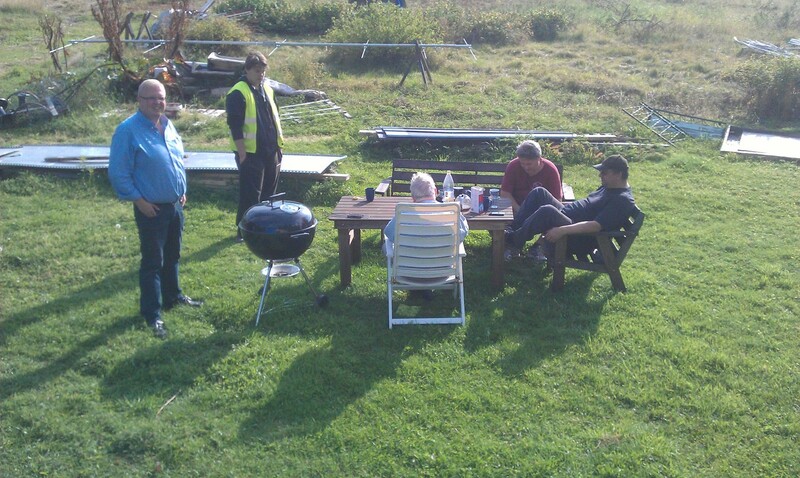 They stayed an hour or two before they left off. 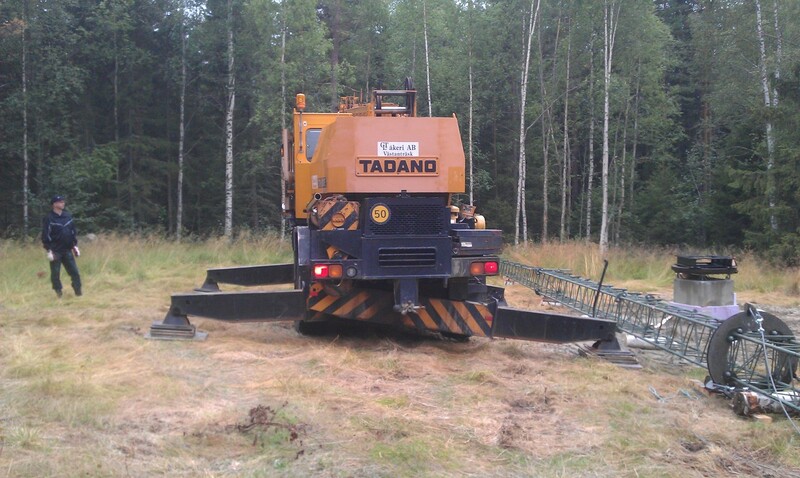 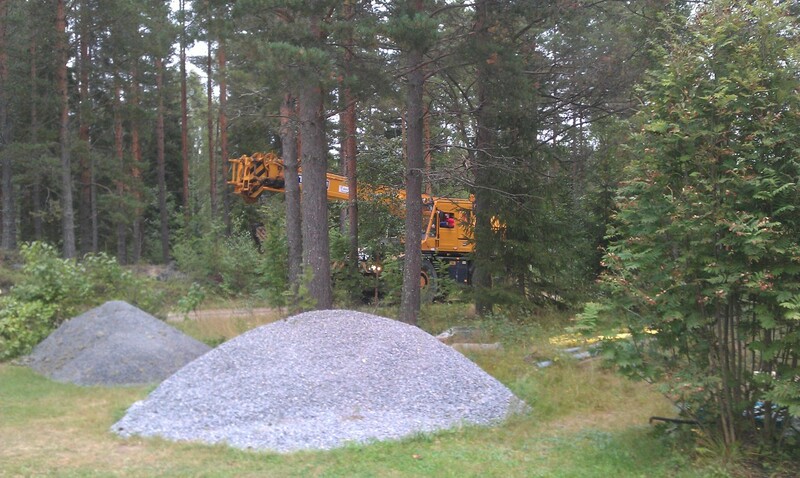 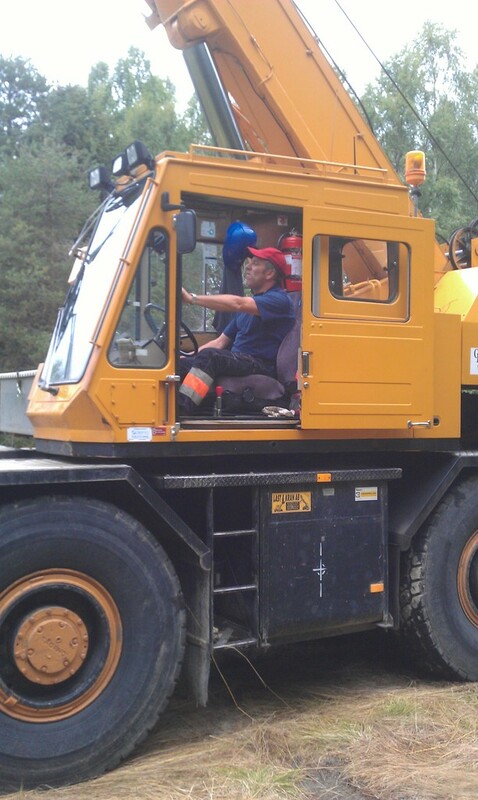 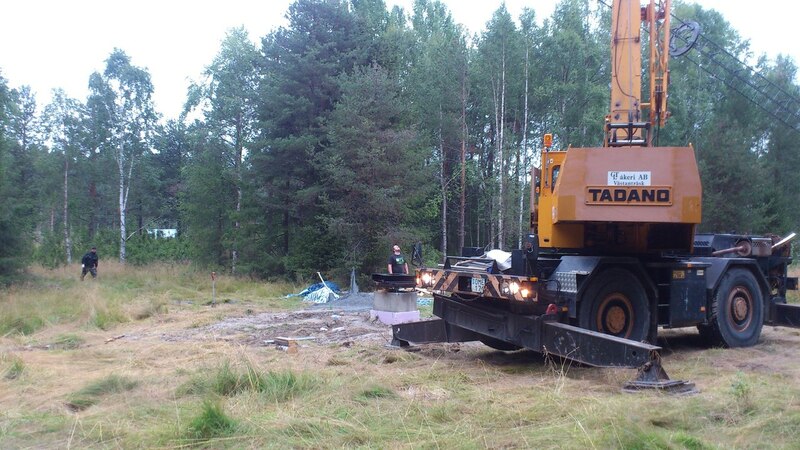 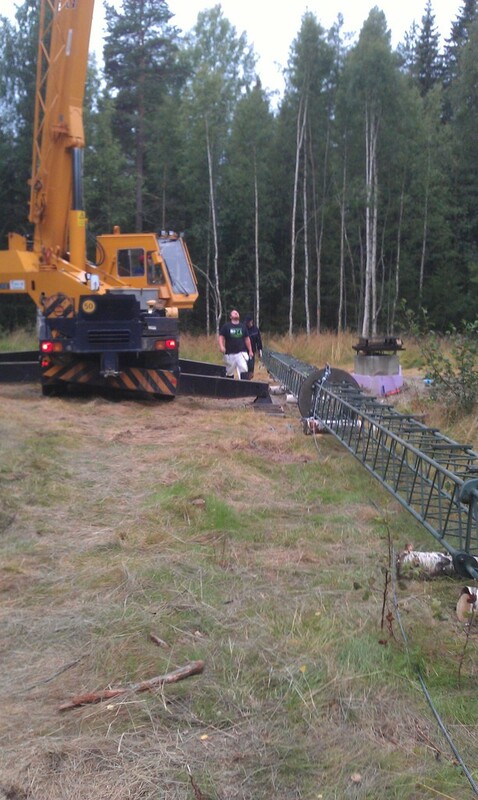 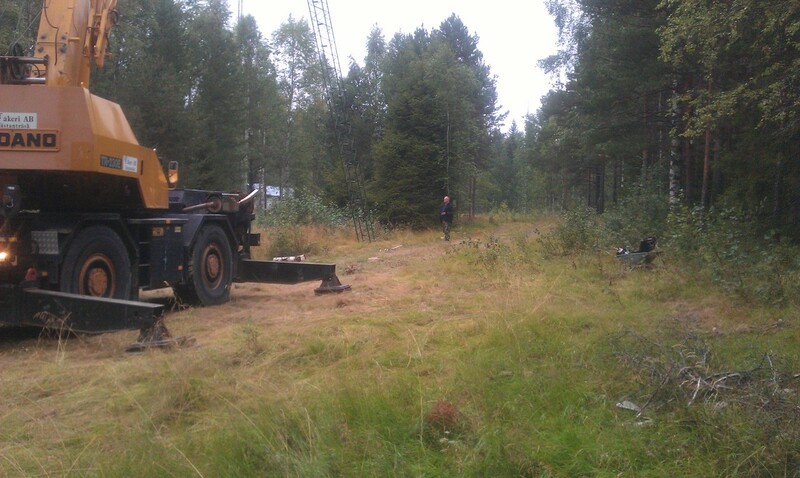 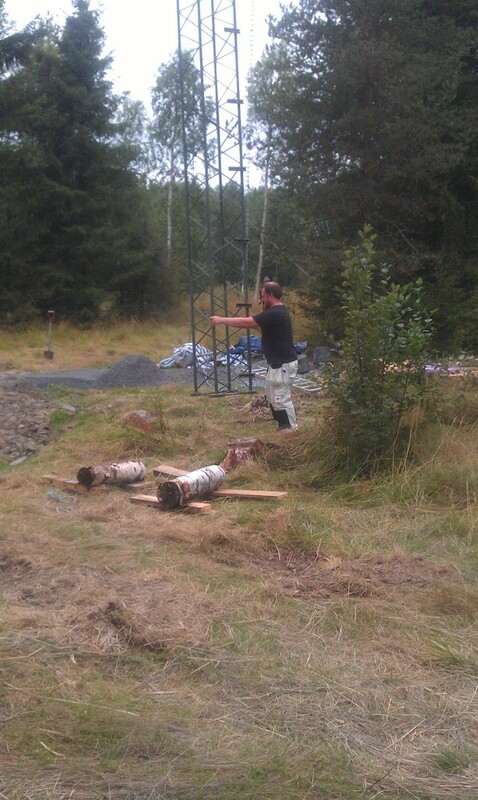 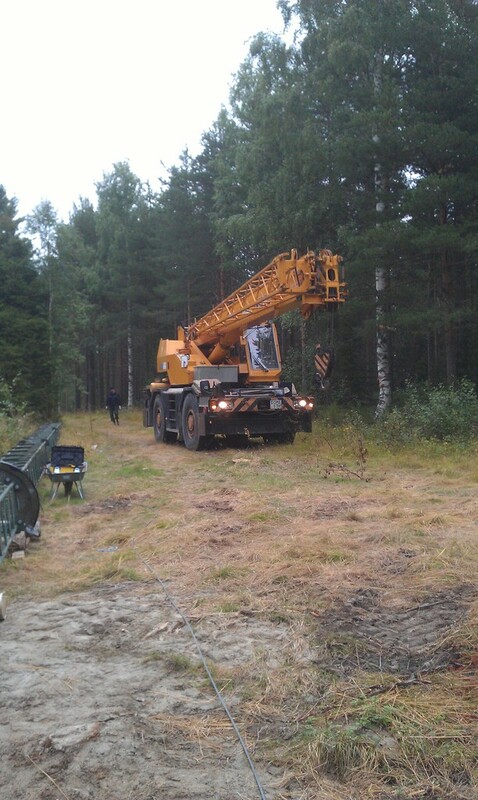 Today we managed to get a crane here and lift the military tower. 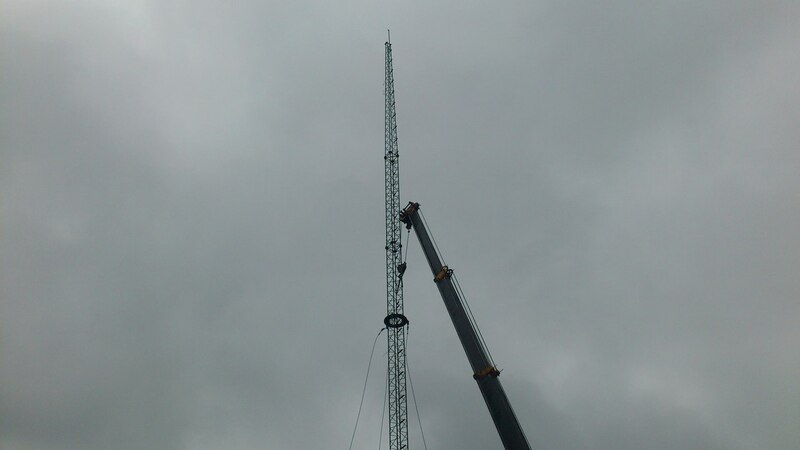 It all went very well and the tower was up and in position under an hour, I think we are starting to get a hang on this now 😉 The tower felt pretty good to climb in as well, we will see how it feels when I get up in the top, probably moves a bit more but still, during the lift the tower didn’t bend much at all, so it’s extremely stiff. 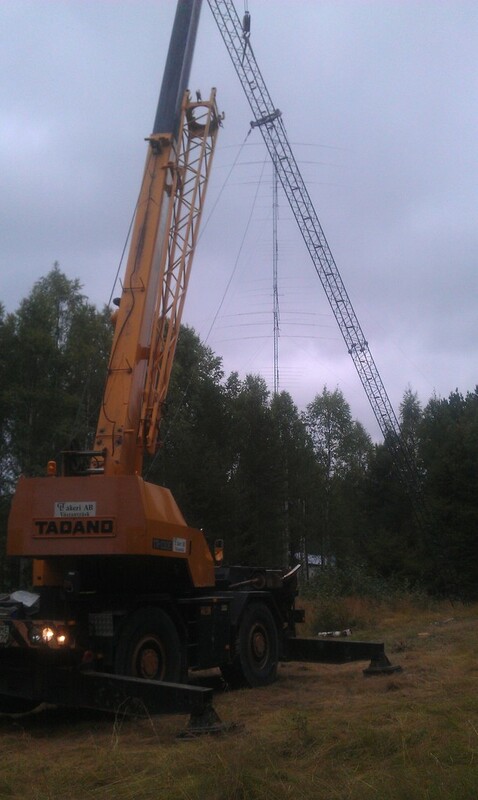 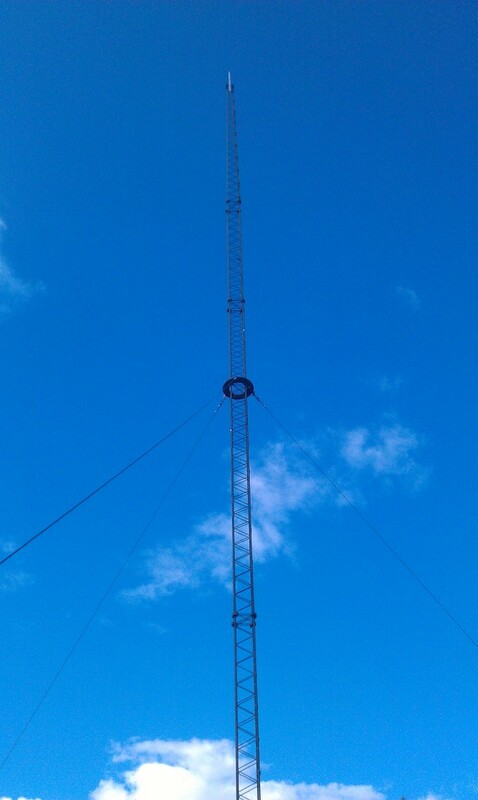 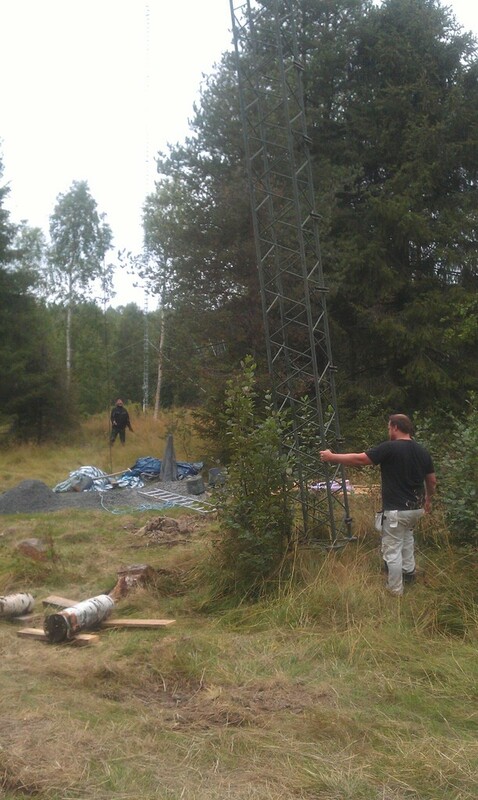 SM2UVU, SM2NOG, SM2XLL, SM2LIY, SM2WMV and Tobbe from GTL did the tower lift.